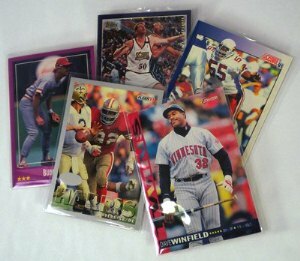 Baseball card sleeves are individual card holders made out of soft polypropylene plastic. The standard baseball card sleeve is 2-3/4 x 3-15/16. Some sleeves have flaps and others are flap-less. There are also larger sleeves that can fit giant cards or fit over screw down cases — essentially a case to protect a case. There are also extra tall and extra thick sleeves to fit cards that are taller or thicker than normal. Sleeves should cost between two and seven dollars per hundred, depending on their size. Nine card binder pages are also sometimes referred to as baseball card sleeves. 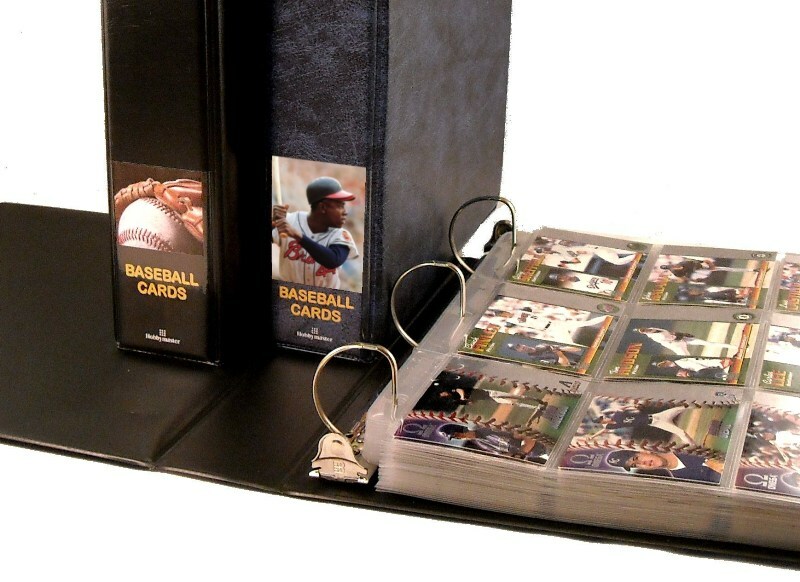 Binder sleeves — which will work with any three-ring binder — are a good way to protect and display your baseball cards. 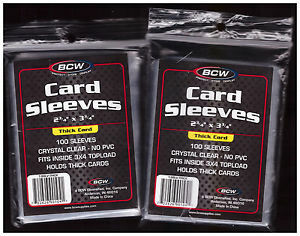 These sleeves should cost somewhere around fifteen bucks for a hundred. There are also eight card binder pages for older cards of a slightly larger size. Baseball card sleeves are good for storing and transporting cards valued in the one dollar to twenty dollar range. If your baseball card is worth much more than that you probably want to get a more sturdy plastic card holder — a snap case, top loader or screw case — because a baseball card sleeve won’t provide the kind of protection from bumps and bruises that a hard plastic case will. Baseball card sleeves are best bought in large lots of a hundred or more. You can buy them anywhere baseball cards are sold. This includes online sites such as Amazon and eBay.